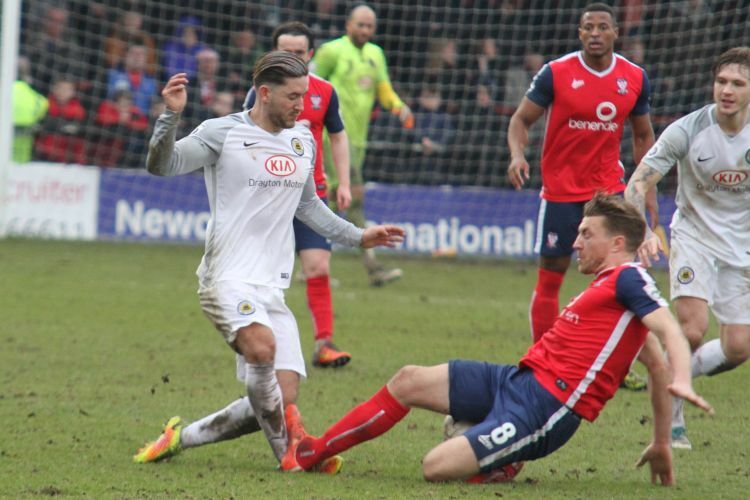 We beat them 2 - 1 in Dec but full-time York will be a tough nut to crack on their own patch. We will be without the suspended Reece Thompson but they will also miss their 20 goal striker Jonathan Parkin who serves out the last of his 3 match ban. That's if it is still on considering the snow they have had in Yorkshire in the last 48hrs. Temperatures are up in York area so the only problem now could be water. @NotJosButtler hi mate, I’m guessing you’ll be coming to the game Saturday, is it possible to let your fans know that we’re trying to organise a minute applause in the 17th minute Saturday due to 2 of our fans passing away last night in a car crash. Match broadcast on-line via Radio York . Not picked and probably on his way to Boston Town. A bad loss today we now have two key players Thanjo and Middleton suspended for 3 games, as we slip back towards relegation. Just when you thought it was getting better. We are in for a very nervous end to this season. Our front men need to start to deliver now. Yes, lousy day at office . BUFC players do seem to succumb to late red cards ..
Poor chairman .. almost constant 1 step forward ..2 steps back . Three reds in the last two games , not what we want in our situation , tues night we could be within 2 points of the releligation spot . Whats your problem with the chairman ? anyone better prepared to step into his shoes ? I think he meant poor chairman as in feels sorry for him. There should be a load more added after I've got back from my Sunday morning run. No wonder Thanoj reacted to it, I would've done too. he's lucky not to have a serious injury.